I was thrilled when Roma and Edie showed up today at the Berean office. Volunteering just 3 days before Christmas is a true sacrifice. Amazing to me is how cheerful they are to volunteer. 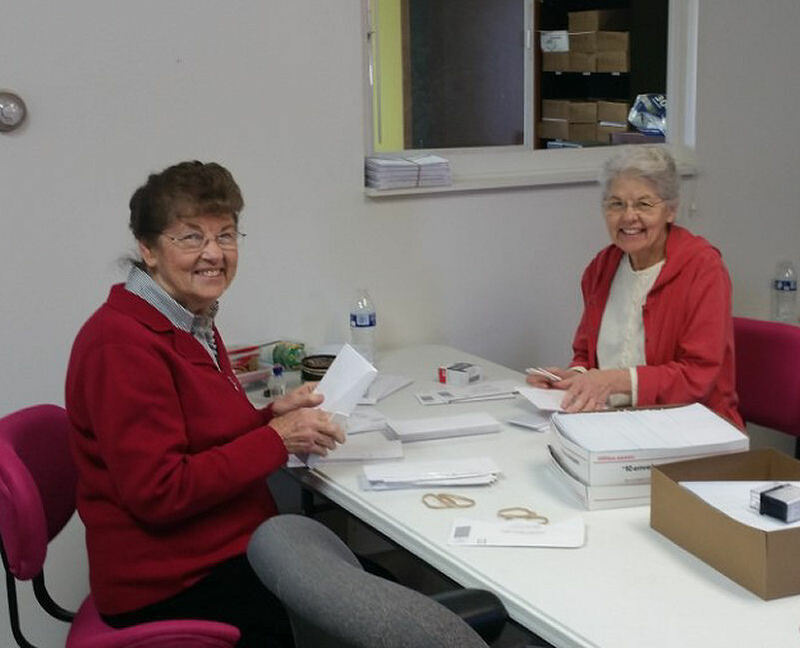 These two ladies helped stuff, wrap and label Bibles for prisoners desperately waiting for them. Some of the letters that come in asking for a Bible are heart breaking and this precious gift of a Bible may be the only gift they receive this Christmas at the prisons and jails here in the United States. As soon as the Bibles were loaded into the car I left to head to the post office to deliver them while Edie and Roma went into the other room to work on opening today's mail and stamping envelopes. Here at Berean we are so very thankful for willing volunteers. Without the hundreds of hours donated by hundreds of these amazing volunteers this program would struggle. There will be NO WORK at the Berean office for the week between Christmas and New Years. Our next day of work will be next YEAR! Well actually just 12 days away, Jan 3rd, 2017. Hope everyone has a wonderful Christmas celebrating the birth of our Lord and Savior Jesus, and a blessed New Year!